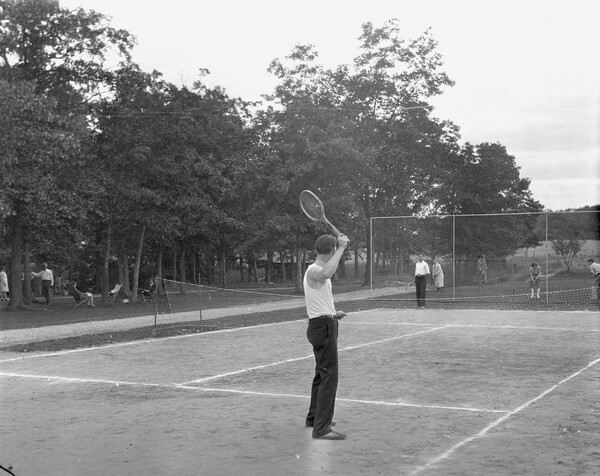 Two men playing tennis on the Birchcliff Hotel tennis court. Another group of guests are playing croquet on the lawn in the background. People relax on chairs under trees on the left. One of 31 photographs of the Birchcliff Hotel by Sherwin Gillett. Not all images are available online.